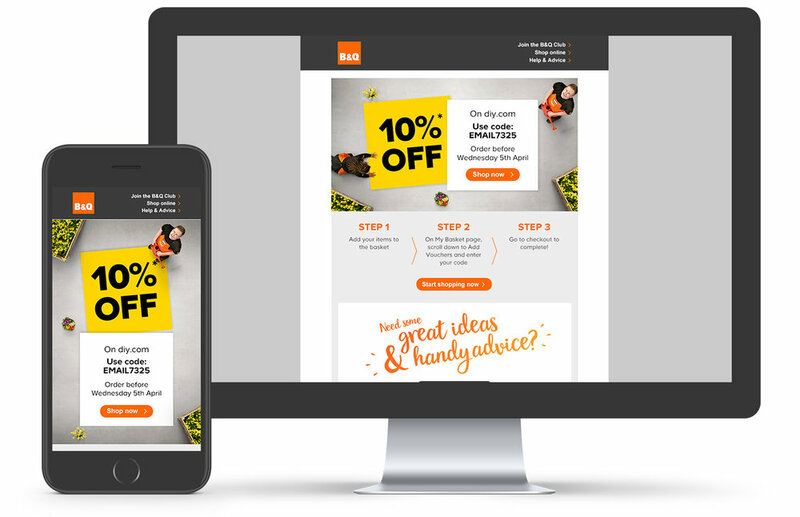 We are proud to have been B&Q's email agency since 2014. We work as a specialist external design and development resource, helping the in-house marketing team deliver their communications strategy for the email channel. 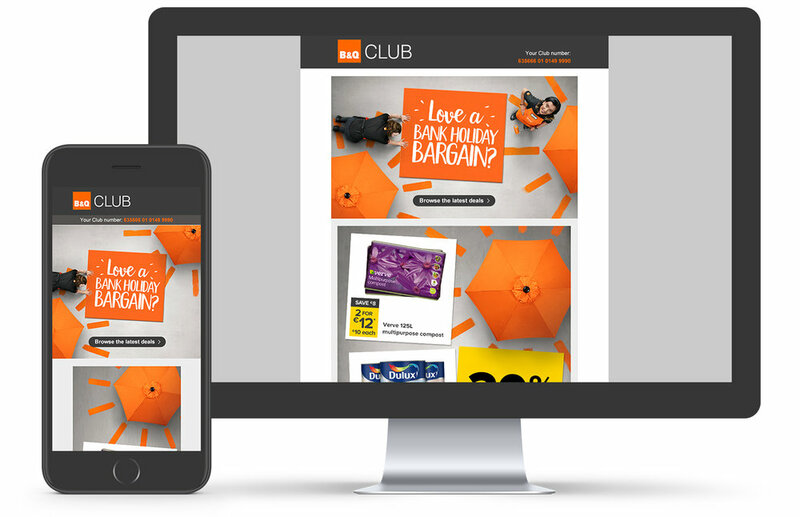 Our work over the years has encompassed production of regular trading emails, behaviourally-triggered programmes, welcome and on-boarding programmes for the B&Q Club loyalty programme, and transactional emails including digital purchase receipts. 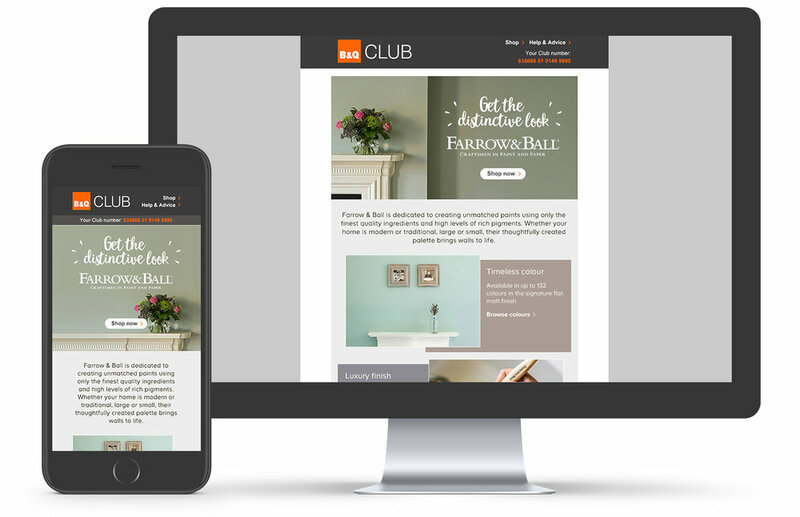 B&Q were one of the first retailers to employ 'kinetic' interactive email in 2014, and we have had the opportunity to develop numerous interactive and animated emails since.